It is such a great pleasure to be back in the beautiful campus of Cambridge again. 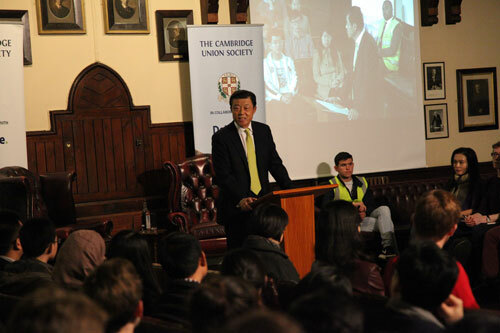 Since I came to London as Chinese Ambassador, I have visited Cambridge many times, indeed, more than any other British university. My last visit was during the summer, when China and the UK were both commemorating the 70th anniversary of World War II and VJ Day. I was here for the opening of the Exhibition on Ye Junjian and his contribution to understanding about China during the Second World War. 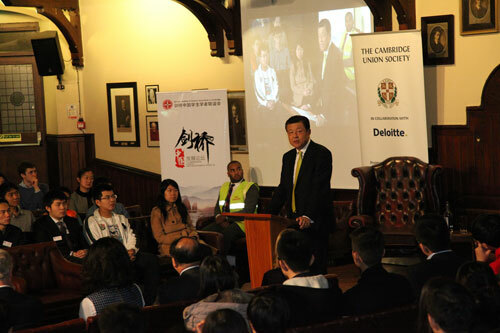 Today, I am once again in Cambridge, shortly after the very successful State Visit of President Xi Jinping. I was asked to talk about the prospects for China-UK relationship. Apparently, the University of Cambridge is, as always, very much riding on the first waves of the times and major events. When we talk about the future of China-UK relations, we inevitably begin with the State Visit of President Xi Jinping. That visit was a huge success. I call it a "super State Visit". It is indeed "super" in every sense. The visit had a "super programme". President Xi was received by Her Majesty The Queen and all her family. President Xi was hosted and accompanied by Prime Minister Cameron at 14 events. They had unprecedented 15 hours together during the State Visit. The visit yielded "super outcomes". China and the UK issued a Joint Declaration. Both countries committed both nations to build a global comprehensive strategic partnership for the 21st century and to open up a 'Golden Era' for China-UK relations. The two countries also signed 13 inter-governmental and non-commercial agreements and 28 commercial contracts valued at a grand total of 40 billion pounds, including a key breakthrough in nuclear energy cooperation. The visit displayed "super significance". In China, in the UK and all over the world, on TV, in the papers and on line, every media was covering the State Visit and commenting on China-UK relations. From the Royal Carriages to the country pub, from fish and chips to the pitch-side selfie, every iconic image held public attention and became a fond subject of conversation. From this coverage, all around the world, people realised that China UK relations had passed a historic milestone. The State Visit took place here in the British Isles, but its impact has been felt far and wide on the Continent and around the globe. In this context, the State Visit has achieved a "super diplomatic significance", with "three new's"
It has taken China-UK relationship to a new level. It will give China-EU relationship a boost for new progress. It will advance the idea of new state-to-state relations and new type of major country relationship. First of all, the State Visit signifies a new level for China-UK relations. 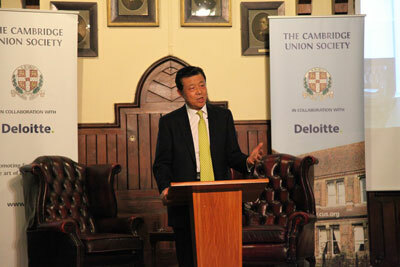 "China and the UK will build a global comprehensive strategic partnership for the 21st century." This new definition fully explained and expanded the contemporary feature of the bilateral relationship and its outreaching influence. It marked an overall upgrading of the ties between China and the UK. At the same time, the two countries made an announcement loud and clear that China-UK relationship is entering a 'Golden Era'. This will be an era that features enduring, inclusive and win-win cooperation. All these have made the State Visit a landmark in the development of China-UK relationship. A new chapter is now open. Secondly, the State Visit will give China-EU relations a boost for new progress. China's policy toward the EU is all-dimensional. China wants good relations with the EU institutions. China wants equally good relations with individual members, including the UK, France and Germany. The least we want is a "short plank" in these relationships. Some western media reports reflect thinking that here in Europe, China wants to "divide and rule". But there is no reason why China wants to do that. The fact is, China wants to see a strong European Union. We hope that EU members will be all of one mind when it comes to developing relations with China, so that we can achieve growth and prosperity together. Recently, French President Hollande and German Chancellor Merkel visited China to build stronger ties. These are certainly welcome initiatives for everyone. Thirdly, the State Visit will advance the building of a new type of state-to-state relationship and relations between major countries. China has all along advocated a new type of state-to-state relationship that is characterized by win-win cooperation. China is also ready for a new model of relations with major western nations that is based on mutual respect and win-win cooperation. Since the beginning of this year, the UK leaders have said on many occasions that Britain wanted to be China's "best partner and strongest supporter in the west". Why are UK leaders making this proposition? One may analyse this by examining the perspectives of China and the UK. The Chinese people are working to realise their Chinese dream. The British people also have their British dream. The two countries share in the understanding of historical development. Both nations have a clear idea of their long-term interest. And both have in mind the overall picture of international peace and prosperity. Base on these, China and the UK have resolved to bring their bilateral relationship into a new era both bilaterally and globally. A strong China-UK relationship will be a powerful influence and an example for others to follow. This will help generate a more positive interaction between China and major western countries. And positive interaction will reduce strategic suspicion, dispel misjudgment and prevent confrontation. "While most things start well, very few will come to fruition." "The great renewal of the Chinese nation requires the dedicated efforts of one generation after another". Likewise, building a strong China-UK relationship also requires such dedicated efforts. We are now at a new historical starting point. We must seize the opportunities of our times. We must turn the agreement of our leaders into reality. And we must enrich the contents of the 'Golden Era' and cooperate in broader areas, at a higher level and in greater depth. Here is the kind of cooperation I have in mind for China and the UK. It is what I call a "five in one" comprehensive cooperation in political, economic, financial, cultural and global affairs. They should also step up exchanges between the legislatures and political parties. All of these exchanges will help keep the bilateral ties on the right track. They will at the same time enhance political mutual trust and mutual respect, and enable our two countries to seek common ground and prevent disruptions. Both China and the UK should expand their bilateral trade in goods and services. Both nations should create a fair, transparent, positive and friendly policy environment for mutual investment. Both countries should earnestly follow through on the mega projects, such as the nuclear power station, high-speed train and other infrastructure development. We must build them into flagship projects of China-UK cooperation. China has rolled out the 'Belt and Road' initiative, '13th Five-year Plan', 'Internet Plus' strategy and 'Made-in-China 2025'. And we also know that the UK has its strategies, such as the 'National Infrastructure Plan' and 'Northern Powerhouse'. We must find the match between these development strategies and related industries to the greatest benefit of both our countries. China and the UK must urge emerging industries to join forces, and facilitate win-win cooperation between the seven major strategic industries China has identified and the eight technology and strategic industries identified by the UK. This refers in particular to cooperation in new energy, smart city, bio-medicine, scientific innovation and e-commerce. China and the UK must also encourage further cooperation in production capacity at a global level. That is, we should actively engage third parties and join forces to explore the international market. This has always been the brightest star in China-UK cooperation. There have been very significant outcomes. And we must work hard to maintain that lead. That means we should continue to support the development of the offshore Renminbi market in London. Fourth, cultural and people-to-people cooperation. And support mutual visits, especially youth exchange, by further facilitating the travels of students and tourists. That should include efforts to secure a reciprocal arrangement of multiple-entry visa valid for multiple years at a competitive price. China and the UK are countries with global influence and permanent members of the UN Security Council. Both nations shoulder important responsibilities for the international system and global affairs. We should both work with other UN members to resolve conflict, restore stability and remove the breeding grounds for terrorism and extremism through multilateral channels and by diplomatic and political means. As partners for growth, we should jointly support the 2030 Agenda for Sustainable Development. We should work together to meet the challenges such as climate change, environmental pollution and antimicrobial resistance. We should also support the G20 as a key platform of international economic cooperation and global economic growth. In the coming weekend, the G20 Summit will be held in Antalya, Turkey. The Chinese President and the British Prime Minister will meet again and work together for a more inclusive and powerful world economic growth. G20 Summit was born out of the need for crisis control and management. As the crisis recedes, G20 runs the risk of reform fatigue and complacency, with the IMF quota and governance reform package reached in 2010 remain in limbo. G20 is at a critical crossroads. Members need to promptly adapt to the new role of this organization. They should also pay more attention to formulating a mid-to-long-term strategy and should tackle the structural problems. There must be firm steps to advance the reform so that the global governance structure fully reflects the world economic reality. China will take over the G20 presidency in 2016. At the Antalya Summit, China will officially circulate its thoughts and ideas about next year's Summit for comments and suggestions. We will aim to build upon Antalya Summit and the rich legacy of G20 as we make further headway in promoting strong, sustainable and balanced growth, robust trade and investment, effective global governance and development that includes and benefits all. 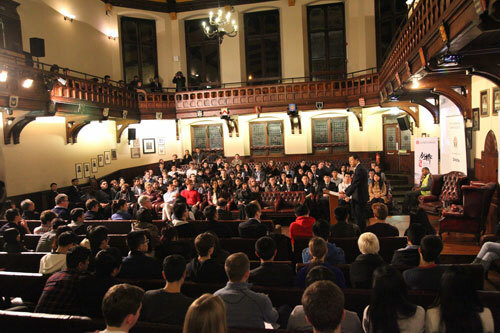 Today's forum is focused on China's development. 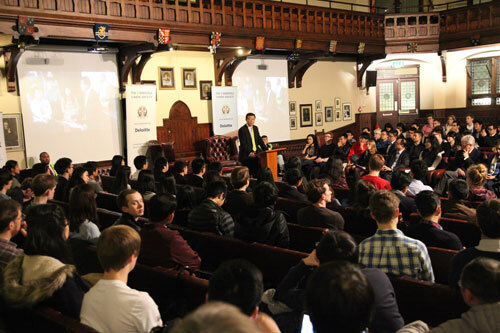 This is a very pertinent topic, because the progress in China-UK relations would not have been possible without the development in China. The biggest feature of the development of the Chinese economy today is the 'new normal'. China's growth rate by the third quarter was 6.9%. Despite the slight dip, it nonetheless remains one of the fastest in the world. China's economy continues to be a key driver of world economic growth. As for the pressure to slow down and certain structural problems in the economy, they are part of the growing pain. In other words, when the economy reaches a certain stage after years of high growth, there is bound to be the need for adjustments. This calls for efforts to stabilize growth, advance reform, adjust the structure, improve people's wellbeing and fed off risks. This also requires effective innovation and macro regulation. Efforts in these areas will enable China to continue sustained and sound growth at a medium to high speed. China is confident in achieving this. The world should have confidence in China. Double China's 2010 GDP and per capita income for urban and rural residents by 2020. This is the first one of China's two centenary goals. To achieve this goal, we will deepen reform, advance law-based governance and improve Party conduct in an all-round way. To achieve this goal, we will follow the principles of innovative, coordinated, green, open and inclusive development. These five principles of development point to five new areas for China-UK cooperation. The first new area is innovation. The CPC Plenum highlighted innovation-drive development. It advocated entrepreneurship and innovation, including scientific, cultural and industrial innovation. The second new area is urbanization and modernisation. China will continue to seek coordinated development by achieving balanced progress in the new type of industrialisation, IT application, urbanisation and agricultural modernisation. The third new area is green economy. Green development will be the watch word. China will accelerate the building of a resource-conserving and environmental friendly society that is based on a green, low-carbon, circular industrial structure. This will be China's new contribution to global eco-security. The fourth new area is global governance. And China will engage actively in the '2030 Agenda for Sustainable Development'. The fifth new area is social services and security. And vigorous actions to respond to population ageing. In all of the five areas, China and the UK are well matched and have already had some cooperation. There is every reason to believe that these areas will become the priorities and highlights of China-UK cooperation in the next few years. China is embarking on a journey to implement its 13th Five-year Plan. China-UK relationship is entering a 'Golden Era'. It seems to me that we are living in a time of tremendous opportunities and promising prospects. Let me borrow the words of Charles Dickens to conclude my speech. "It is the best of times". China and the UK have "great expectations". Here is my sincere hope for the young and upcoming generations of students at Cambridge University. Show your courage and your wisdom. Use your creativity in this glorious endeavour of building stronger ties between China and the UK. And do what you can to make the 'Golden Era' shine even brighter.